Our story began in 1938 with our pioneering leaders coming together to serve electricity to their local farms and neighbors. Over the years, GVEC’s offerings have grown more diverse along with our South Central Texas audience. Although we continue to serve electricity, we are not just an electric utility. Our products and services go beyond the meter to do more for our customers and communities. Serving the South Central Texas Region. 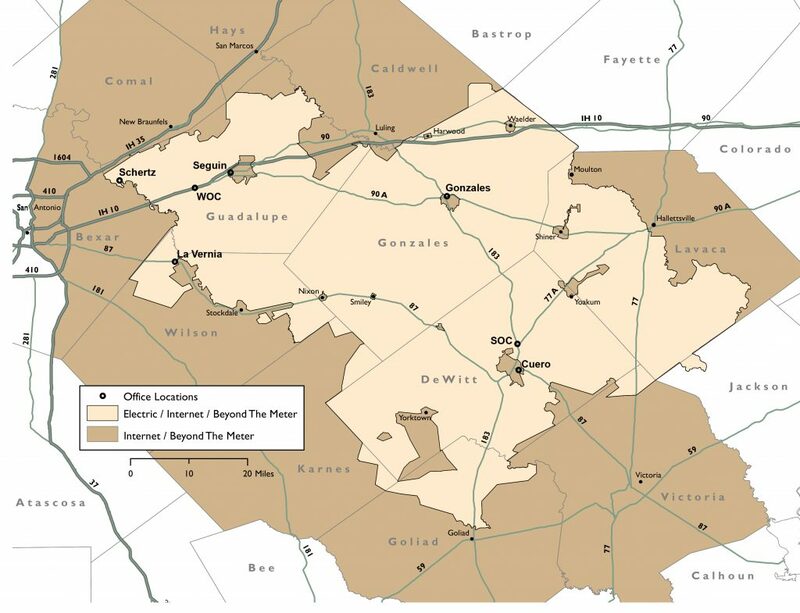 Our electric service area spans 3,500 square miles over 13 South Central Texas counties. 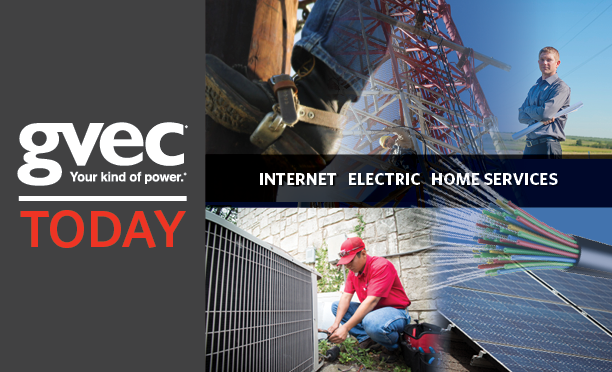 Over the years, we have expanded our high-speed Internet, HVAC services, solar sales and service, and electrician services to serve members as well as the public residing in the surrounding areas of our electric service territory. Most importantly, our employees are good people that live and work in the communities they serve. They care about the level of service you receive because you’ll see them at the grocery store, at church, and sharing in everyday community life. At GVEC, we are a team of professionals who take pride in our values and providing local service with integrity. Supporting our communities is a defining characteristic of our Cooperative service. Among the many community-oriented programs we offer, you’re also likely to see us out actively walking for a cure for cancer, celebrating first responders, and providing resources to our local teachers and Chambers. In addition, we also work with local and state organizations to attract new business through a long standing tradition of economic development efforts. Why do we do it? Because the roots of GVEC were planted upon being a trusted resource for our communities, so caring for our neighbors from educational presentations, expert efficiency advice, grant programs, and scholarships is simply the right thing to do. It takes an army of professionals to support the varied services of our robust cooperative. Most applicants are surprised to find that GVEC offers an array of careers from positions in Customer Service to Energy Procurement, Engineering, Marketing, GIS Mapping, Communications and many more. We have high expectations for those who are part of our team, but we also stand behind the people who support us with excellent benefits and advancement support programs. We look for people who offer talent, a positive attitude, creative ideas and the work ethic to deliver unexpected results.